Easy chocolate gooey butter cake cookies are full of cream cheese and buttery goodness. Plus they start with a cake mix so they are super easy. 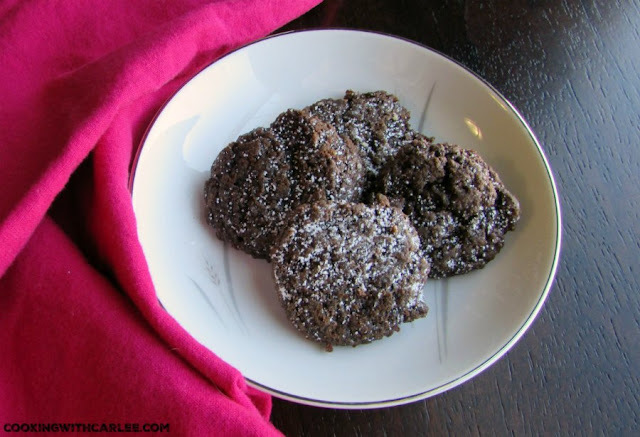 Ooey gooey chocolatey goodness is just minutes away! Ok. Follow me here. Chocolate. Cream cheese. Butter. You with me? Good! 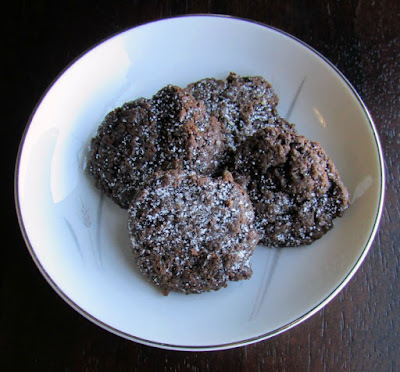 These cookies are a mix of all things yummy in my book! They are made up of the things that make ooey gooey butter cake so decadent. But in cookie form... and with chocolate! They are just the right size too. A couple of bites of rich gooey heaven. That way you don't feel like you really overdid it, but you get to enjoy a few bites of delicious. Stir in egg, extract and cake mix until uniform. Bake for ten minutes. Cool on cookie sheet for a couple of minutes, then dust with powdered sugar and finish cooling on a rack. These sound delicious!! I love cookies that start with a cake mix...it makes the prep work that much faster. 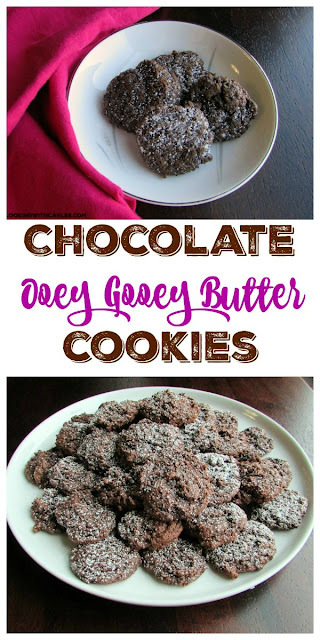 :) I also love any dessert with the words "ooey gooey" in the title! The words ooey gooey perk my ears up as well! Thanks for stopping by! I bet those just melt in your mouth. I might eat too many! Eating too many is definitely a hazard! Thanks for stopping by! Thanks for hosting. It is nice to have a couple of recipes that come together in a flash with ingredients you have on hand. This is one of those for me! 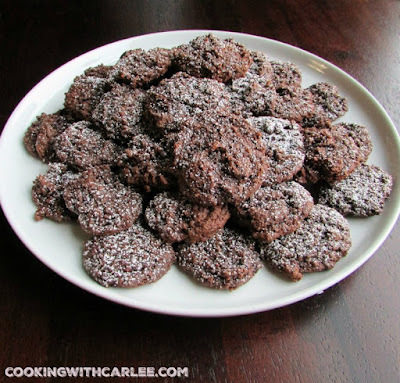 Cake mix cookies are always great! Thanks for linking up and sharing with us at Funtastic Friday. Hope you join us again this week. They are, aren't they? And so easy! Yummy sounding and easy too. I like this kind of recipe. Thanks for sharing. It's hard to go wrong with easy and delicious! You had me at Ooey Gooey! You had me at Ooey gooey! Throw in the chocolate and you have the perfect cookie! I know, it's terrible (and wonderful!) isn't it? They are so easy you could have them in minutes! Thanks, Mollie! Ooey, gooey, AND chocolate? Yes, yes, and YES! 😍 Soft cookies are my favorite! Ha, I know... all of the best words in one cookie! I really like soft cookies too, especially if they have a bit of chew.